Private Blog Network (PBN) is all the rage right now. Nearly every marketing forum is plastered with PBN packages. We are ranking tons of niche sites using our private blog network only. This is what is working right now in SEO. Private blog networks are easy to assemble if you play your cards right. Many people complicate this way out of proportion. We have developed a streamlined process to setup a blog network from scratch. Hit the jump and continue with the tutorial. Given the number of scammers online, We advise you to stay away from them if possible. If you really want to go that route, find a genuine provider. All these link networks are going to work temporarily. Sooner or later, they are going to get burned up. So, our advice is to build your own effective link juice network. We have ranked tons of niche sites utilizing our own PBN. There arecurrently around 80 Pumper Sites in our private blog network. Why you shouldn’t purchase links on public networks? “The Ultimate Penguin Killer Package – High DA/PA/PR domain”, you get the idea. The main problem with these “Private” Blog Networks is that they are not private. Google’s Web Spam Team purchases link building packages from them and bang! Now, they have a good idea what’s going on and what domains the network is using. That’s exactly what happened with Anglo Rank, ALN, Buzzea and others. So build your own private, stealth PBN and rank sites whenever you want. The linking page must have high authority. It’s a metric created by Moz.com. DA/PA are good metrics to take a look at. The backlink must come from a high PR page. You must have heard this “Pagerank is dead”. We disagree, Pagerank is not dead. It’s still very much alive. However, it shouldn’t be the only metric you take into account. With Google’s sporadic PR updates, it’s value is only deteriorating. Getting a link from a niche relevant website carries a lot of weight. If you have a site in the fitness niche, getting a link from a fitness site will have more value than a link from a cooking website. Contextual backlinks are very powerful and pass the maximum juice . A contextual link is a link that is placed within the text. Links placed in the menus, sidebar or footer links are not as powerful. So, your overall goal must be to get a contextual link whenever possible. The amount of OBLs determine how much juice is going to flow to your site. For example, if a page has 100 OBLs, it passes much less link juice than a page with 10 OBLs. PageRank vs Authority: Is Pagerank the only metric you’re looking at? Google assigns a number (PR) ranging 1-10 to websites which determines its ability to rank. Generally, PR is an indicator of how strong a link is. As we stated above, now Google updates PR after quite a long time. Let’s consider this example. 1st domain has PR 5, DA 5 and PA 1. The 2nd domain has PR 3, DA 30 and PA 25. Which one is the winner? The winner is 2nd domain as it has good DA and PA even thought it’s PR is low . By now, you should have a nice idea how we are going to build our PBN. Here we come to the actual setup part. Get ready! Here’s an overview of tasks required to setup a blog network. There is no shortage of services claiming to find the best expired domains for you. We wouldn’t recommend you buy domains from them. We always spend a good amount of time for expired domain sleuthing. You should do this too for all your pumper sites. There are a lot of tools to find expired domains. However, the beginners should get used to Expireddomains.net first. Avoid buying domains from forums or brokers. There are a lot of scammers out there. With our Advanced Sleuthing and Hepta Test techniques, you wouldn’t need any broker. You can easily create new sites from scratch for your Private Blog Network. However, then it wouldn’t be as effective as an expired domain. Using advanced sleuthing techniques, it is very easy to find expired domains that were not renewed by their admins. Domain Age And PageRank: Important Or Not? Before moving onto Domain Sleuthing, let’s discuss Pagerank and Domain Age. We are usually not too paranoid about a domain’s Pagerank. If we find a domain with decent metrics with low PR, we prefer to buy it. You can set age filter using ABY/WBY filters as we have shown below. However, the age metric is flawed. Suppose, if a domain’s birth year was 2002 and if it wasn’t used by anyone from 2004 to 2010. So, the actual age of that domain will be 2010. So, you shouldn’t include age in the filters. If you actually want to buy a domain for its age, go with it. Hepta Test: What to consider when buying a expired domain? We have analyzed boatloads of expired domains. We have come up with own “Hepta Test” which we perform on each domain that we want to buy. Here’s a list of what to consider when buying an expired domain. These are listed in the order of their importance. 1. Authority(DA/PA): The domain must have at least Domain Authority 20 and Page Authority 20. 2. Good number of backlinks: The domain should have at least 100 backlinks. If it has good amount of links and doesn’t have penalties or high anchor text ratios, go for it. Also, watch out for pharma/adult/foreign anchor texts. 3. Number of referring domains: A domain must have at least 50 referring domains. 4. A healthy ratio of Trust Flow (TF) to Citation Flow (CF): This is an indicator of the quality of a domain’s backlink profile. We generally look for domains having at least TF 10 amd CF 10. So this ratio equals 1. The higher ratio, the better the link profile. However, don’t buy a domain with TF/CF ratio less than 0.80. 5. Pagerank: Check pagerank here. The greater the better. However, don’t buy domains based on pagerank alone. Checking fake pagerank: If a PR3 site is 301 redirected to a new site, then it becomes a PR3 site. Use this tool to find fake pagerank. 6. Indexed or not: Enter site:yourdomain.com in the Google and check if the site comes up or not. If it shows up, it still indexed by Google. Otherwise, don’t buy this domain. 7. Check domain’s history: Plug your domain in Archive.org. Get the overall feel of the theme and content of the site. Make sure it didn’t contain any adult or pharma stuff. We will be running a Hepta Test on every domain we find. We will now use advanced domain sleuthing techniques to find diamonds in the rough. However, there are many other “secret” sleuthing techniques we use. We will be discussing them in great detail in our next post. So stay tuned. Now back to the method. We will be using ExpiredDomains.net as it is makes very simple to harvest expired domains. You can apply tons of filters to get high PR/DA/PA niche related domains. Here we will be applying specific filters so we get the best domains only. You can also use Moonsy for the same but it doesn’t have a lot of filters. Here’s how to find high PR expired domains using ExpiredDomains.net. 1. Go to expireddomains.net and make an account (it’s completely free). 2. Now select Deleted Domains (free to register) and select Deleted.com. This is going to show all .com expired domains. Also, don’t forget to check deleted .net,.org,.biz and .info domains. 3. Now check No Fake PRs and No PageRank -1 in Common Filter section. Optional: For harvesting niche related domains only, enter your broad niche as shown below. We personally do this every time. It’s highly recommended as we are looking to build a niche related network. For example, if you are in the cooking niche, you would enter “chef”, “dishes”, “recipes” and “cook” in that field. 4. Now under Additional Filter, check Only Available Domains. This additional filter only harvests domains that are available to register. This filters auction and closeout domains would be shown also. Why You Should Avoid Auction Domains? You will not find any aged domain with decent metrics for cheap. After purchasing domains from auctions, you have to pay an extra amount to register it. So you won’t be getting cheap domains. To get really cheap domains, use our method as it cheaper. The amount of domain squatters in auctions is too damn high! 5. Under Adwords and SEO filter, set min Domain Authority to 20 and min Page Authority to 20. Optional: You can also include MozRank if you get tons of domains using this method. Set min Mozrank to 2. This will return even more valuable domains. Here’s what Moz says about MozRank. Optional: You can also include the age filter as shown below. But We have explained above why this isn’t a good choice. ABY: Birth Year of the domain using the first found date from Archove.org. WBY: Birth Year of the domain using Whois creation date. 6. Select Apply Filter. By now you should get a nice list of domains. You now have pure gold in front of you. Moonsy doesn’t have advanced filters like Expireddomains.net has. We can sort domains by Moz DA (Domain Authority). You can get quality domains with it. Although finding niche relevant domains is very tough using this method. After choosing the best ones, apply hepta test. Finding expired domains is more of an art than a science. Try adding different filters and you will get what you want. It doesn’t matter if you are not able to find a niche relevant domain. We will make it super relevant to our niche. Just make sure it passes the Hepta Test. 1. From the domain names you found above and select one of them. 2. Make free accounts at Majesticseo, Open Site Explorer and Ahrefs. A basic account will reveal all the info we want. Always, check profile for both “domain.com” and “www.domain.com”. This is vital for our next part. 3. We will now be analyzing a domain’s backlinks. Plug the domain into Majestic SEO and look for the no of backlinks, referring domains, TF and CF. At the time of writing this post, We found 1 golden aged domain using advanced domain sleuthing. Take a look below. 4. Also, plug it in Ahrefs, OpenSiteExplorer and backlinkWatch. This should give you nice overview of the link profile. Using the checklist above, see if it’s fit for you or not. 5. Perform Hepta Test on your domain. We will be using the above domain below. Domain Authority and Page Authority are greater than 20. No of referring domains is 183. TF to CF ratio is above 0.8. Pagerank is 0 (don’t consider Pagerank if other metrics are good). 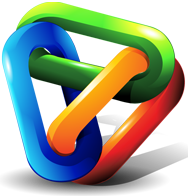 5,195 backlinks according to Majestic SEO. It doesn’t have spammy anchor texts. It is indexed in Google. It didn’t contain any adult or pharma content. It passes the Hepta Test with flying colors. So, this is excellent for our private blog network. How much should you pay for a good domain? Different people have different opinions in this case. Some say don’t pay over $50 for a PR 3 domain and so on. We generally don’t go over $30-40 for a single domain. However, We are willing to go above that if it’s an excellent domain. Our goal while building a PBN is to diversify as much as possible. This ensures we don’t leave a footprint anywhere. For registering domain names, use different registrars. What if all sites linking to you were on GoDaddy and had the same Whois info? This is bound to raise a red flag. Using different registrars minimizes our footprint. Now use a mix of fake details and Whois protection. For fake details use Fakenamegenerator.com. Although,We would suggest you use privacy protection in most cases. Since the registrars are becoming strict with this now. If they can prove you used fake details, the authorities might seize your domain. So be extra careful with this. Use Whois privacy on all domains preferably. Why you should use different IPs for hosting? A and B classes of these IPs are same whereas C and D classes differ. We want our domains to be hosted on different C classes (in green). If your money site and pumper site (expired domain) are hosted on same IP, this is going to raise a red flag. Hosting domains on different C-class IPs is vital. This also helps in passing a manual review. Why you should avoid SEO Hosting and shared hosting? We will not be utilizing SEO hosting for this purpose. It costs $450/month for 100 IPs. Take a look. First of all, keep this mind. DO NOT use SEO Hosting at any cost. Stay away from hosting services from Webhostingtalk. There are many reasons We don’t recommend SEO Hosting. Firstly, their price is way too high compared to other services. Most importantly, they don’t provide the protection you require for a PBN. Google has been after blog networks since some time. So, We are sure these “SEO Hosts” are on their hit list. Secondly Google clearly knows SEO Hosting is being used for hosting PBNs. Don’t forget Google have so much resources. If tomorrow they figure out the pattern of how the sites are hosted, your PBN will be roasted! If they can detect the link velocity of millions of websites, they can do this too. Cheap shared hosts from Webhostingtalk aren’t worthwhile. Their uptime is not good. Moreover, setting up your sites is also a hassle. After purchasing the domains, you now need a reliable host for your PBN. Plain and simple. A lot of people over complicate this step. There are thousands of hosts out there. But every host is not suitable for hosting a link network. Here are the best hosts for your pumper sites. Now this depends on the size of your network. 1.IX Web Hosting: Ideal for a network of 10-15 pumper sites. This would be suitable for most of the beginners. They allot you 15 dedicated Ips. 2. Host Nine Reseller Package: Ideal for hosting a large network of over 50 sites . It provides 100 IPs. Host Nine is a solid host with great uptime. After you’ve purchased the hosting, you need to setup your pumper sites. You will need a content Management System (CMS) such as WordPress or Drupal. We use WordPress on all pumper sites. This does not leave a footprint as 20% of the Web uses WordPress. So there is virtually no footprint whatsoever. Use a CMS that is easy to install and configure. If you want a bit of CMS diversity, go with Joomla, Drupal and Xoops. You would want to install these basic plugins on each pumper site. All in one SEO: Use it to set meta descriptions and titles. It’s very useful for on page SEO. Link Juice Keeper: This plugin helps to keep the site’s link juice alive. The inner pages of a domain will have backlinks pointing at them. So, if you don’t recreate these pages with the exact URLs, the link juice is lost. Any pages that don’t exist or what web servers call a 404 error, this plugin will 301 redirect the 404 error to the homepage keeping all the link juice of the site. This is where a lot of make mistakes. We can figure out PBN sites by looking at content’s quality and relevance. So, be extra vigilant with content. Content needs to be readable, original and relevant. Obviously, we don’t want to write some Pulitzer prize winning pieces. We just want quality relevant content. You can either write the content yourself or hire a freelancer. But always try write articles yourself. Inner pages of an expired domain still have backlinks. So we will recreate them on our new site to prevent “link juice loss”. Here’s how to do this. 1. Plug in your expired domain in Archive.org. 2. Find the URL of an inner page and copy its content. 3. Simply, recreate it on the new site with its exact URL. Voila! you now have free content on your site. We have installed link juice keeper for saving link juice. But, it still doesn’t hurt to get free content, does it? If you have a niche relevant domain, skip the next step. Although, we would still advise you to drip feed new content. If you couldn’t find a niche relevant expired domain, re-theme it. A pumper site need not be super relevant to your niche. Suppose our money site is related to fitness, getting links from a Yoga related blog is still relevant. However, if you own a dog training site, getting links from a cooking site wouldn’t be relevant. This technique will make our pumpers niche relevant. Write 20-30 articles with word count greater than 600 words. Using post date feature, drip feed 2 articles per week for 1st and 2nd months. Afterwards, drip feed 1 article until they run out. For reducing footprints and more diversity, do this. Drip feed the content at regular intervals instead of adding 100 articles at the same time. Use a real looking author name. Use articles of varying word counts such as 600,1200 or 1000. Stay away from category spam. Don’t include hundreds of useless categories. This is the diagram you should follow for a network. Do not interlink your pumper sites (PS). How to link back to Money Site? Here are some rules to follow while linking back to money site. Do NOT add more than 2 links to your site in 1 article. Do NOT add links to each article. Use a mix of exact match, partial match and generic anchors (click here, read more). Exact match anchors should be used only 5-10% of the time. Beware of exact matches and keep their percentage very low. 50% links should point to the homepage, 40% to inner post pages and 10% to category pages. Link out to inner pages as well. Don’t link out to sites on page 1. Link out to Wikipedia and related news sites. This gives authority and freshness. Randomize link placement in articles. Add a link in the beginning, middle and at the end. Do not sell links on your PBN. Do not interlink your sites. Don’t link to pharma, payday or adult sites. As shown in the diagram above, we will power up our pumers. This step is optional though. A pumper has enough firepower to pass massive authority to your links. But if you have the time power up your pumper sites. You can either automate it or create links by hand. Drip feed links using a SE Nuke campaign or create manual web 2.0s by hand. Here’a nice list of high Pagerank Web 2.0s. The management is pretty straight forward. You can use plugins to monitor your PBN sites from a central location. But we don’t do so for the sake of safety. Doing this might leave a footprint. We just use a simple Word or Excel file to do this. Nothing fancy here. You can use Notepad/Wordpad to manage this either. Stealth Techniques: How to minimize Footprints? If you have setup your sites using these methods, they will easily pass manual reviews. These are some stealth techniques to minimize your footprint even further. 1. Make your sites look real. Install a nice theme and logo. 2. Always use different C-class IPs for hosting your private blog network. 3. Always opt for domain privacy. Using same Whois info on all sites is a clear footprint. 4. Use different registrars for expired domains. 5. Do not use Chrome while setting up your domain or Gmail for this purpose. We always use Firefox for this purpose. 6. Throw in a couple of Amazon Associates ads to make your pumpers more “natural”. However, abstain from using Adsense or Google’s products. Here is a recap of resources you need for private blog networks. We are crushing SERPs in Google right now with our Private Blog Network. It’s most powerful way of getting authoritative links to your money site. These are very difficult to get otherwise. The main advantage of a private blog network is CONTROL. You control everything: content,anchors and backlinks. We would recommend the newbies to setup a cheap network of 10-15 sites. Doing this will crush low competition niches. Now what are you waiting for, go and conquer the SERPs.